Rich Faber is an award-winning Illustrator who has been working for over 21 years. Rich is a versatile artist who began his career as a Comic Book Inker. A native of Sayville, New York, on Long Island. Rich went to the Visual School of Art of the greater New York City area from 1990 to 1993. Known for his keen attention to detail, his specialties include, but are not limited to, photo-realistic pencil illustrations, brush, pen and ink illustrations as well as Logo Design illustrations. Illustration subjects of particular interest include Baseball, Automoblies and Portraits. As the Art Director for Flatt World Figures, a company that produced collectible character figures, Rich was responsible for co-designing the company logo, creating and designing a “character card” insert and layout art for product packaging, as well as recruiting and coordinating freelance artists and sculptors. Flatt World’s Bela Lugosi as Dracula “was awarded Best Packaging By ToyFare Magazine in their “Best of the Best of 1999,” February 2000 issue. 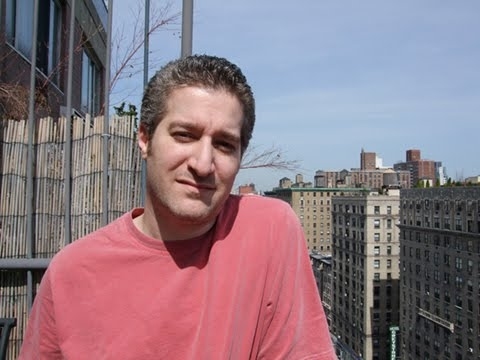 In the Comic Book industry, Rich has worked on such well-known characters as Superman, Green Lantern, The Titans, Todd Dezago and Mike Wieringo’s critically acclaimed Tellos as well as Steel. In fact, Steel was the third comic book that Rich worked on and the first that he had steady work on. He was also one of the many contributors to “9-11: The World’s Finest Comic Book Writers and Artists Tell Stories To Remember, Volume 2”, a Graphic Novel whose profits all go to 9-11 charities. The original artwork for this book is now part of the permanent collection in The Library of Congress. Rich is a frequent collaborator with John Gallagher and is an artist and editor for John’s Harvey Award nominated, creator-owned Comic Book, Buzzboy. Rich and John are co-creators of Roboy Red, an award-winning all-ages comic book and graphic novel about a little boy robot who escapes from the theme park that built him. Through his all-ages work with Gallagher, Rich is a charter member of the non-profit organization, Kids Love Comics, a collection of all-ages creators and publishers promoting literacy through graphic novels and is a frequent contributor to the KLC Blog. In the podcast arena, along Gallagher and their friend and colleague Jamar Nicholas, Rich is one of the “tri-hosts” of Comic Book Diner, a podcast on the art and business of comics. Rich is also an experienced Art Instructor and Lecturer. He has been an Adjunct at Moore College of Art and Design in Philadelpia, PA and has taught at Delaware College of Art and Design in Wilmington, DE. He does many library and school appearances each year.